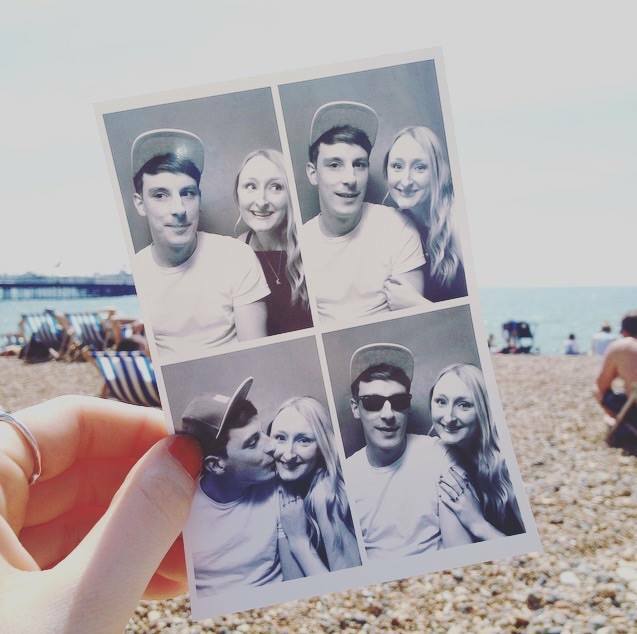 We recently took a little weekend break away to Brighton. Its a place I have always wanted to visit and as soon as we got there I wondered why we hadn't been before now! Luck was on our side as the weather was incredible for the UK , People were actually sunbathing in bikinis on the beach! I didn't go that far but it was lovely to have an ice cream looking out to the pier. Get lost in the lanes - The 'lanes' are a collection of narrow lanes in Brighton which are famous for their small shops, cafes and narrow alleyways. cloud 9 - Do the BEST milkshakes and ice creams. My favourite thing to do in Brighton was just to walk around and look at all the pretty little coloured houses, graffiti and quirky little shops. If you go into snoopers paradise you can use a vintage style photo booth for just £3! such a cute little souvenir of our trip. I cant wait for my next visit so if you have any other suggestions do comment below. Ohh...it looks like very well,..may you have a good day. Welcome to the turquoise door! A place to hold photographs and document the pretty things I make and collect, inspirational things I see and memories I do not want to forget.